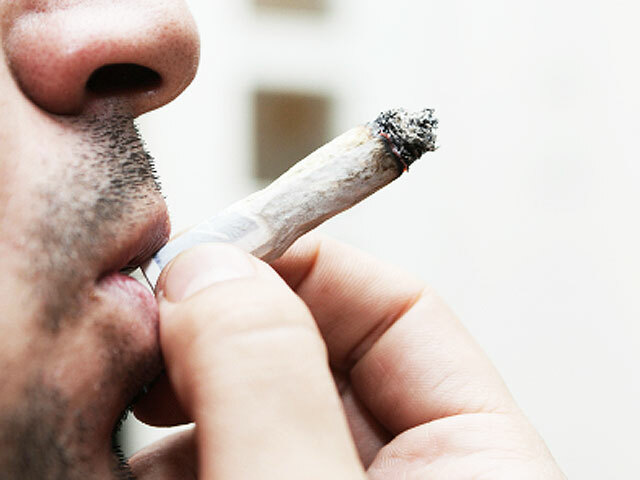 That could be a potential pitfall for millions of teens, givenrecent estimatesshow about one in 10 teens in grades nine through 12 smoke marijuana at least 20 times per month. The researchers however didn't find the same IQ dip for people who became frequent users of pot after 18, suggesting pot use is especially dangerous for the developing brain. "Parents should understand that their adolescents are particularly vulnerable,'" said lead researcher Madeline Meier, a postdoctoral researcher at Duke University's Center for Child and Family Policy. More than 1,000 study participants from New Zealand were tested for IQ at age 13 - likely before any significant marijuana use - and again at age 38. All were born in the town of Dunedin during a year-long span ending in 1973. In addition to IQ tests, participants were given five interviews between ages 18 and 38, including questions related to their marijuana use. At age 18, 52 participants said they had become dependent on marijuana, meaning that they continued to use it despite its causing significant health, social or legal problems. Ninety-two others reported dependence starting at a later age. Researchers compared their IQ scores at age 13 to the score at age 38 and found a drop only in those who had started regularly smoking pot by 18. Those deemed marijuana-dependent in three or more surveys had a drop averaging 8 points. If a person had average intelligence and was smarter than 50 percent of the population, dropping 8 points would give them a score only higher than 29 percent of the population, the researchers said. The study was published online Monday in the Proceedings of the National Academy of Sciences. It was funded with governmental grants from the United States and Britain, and a foundation in Zurich. The researchers also surveyed people who knew the study participants well at age 38 and found that the more often participants were rated as marijuana-dependent in the surveys over their lifetimes, the more memory and attention problems were noticed by their acquaintances over the previous year. Dr. Richie Poulton, a study co-author and professor of developmental psychopathology at the University of Otago in New Zealand, said the message of the research is to stay away from marijuana until adulthood if possible. "For some it's a legal issue, but for me it's a health issue," he said. Marijuana use is fairly common in American teens, as evidenced in a June government study that showed 23 percent of high school students said they'd recently smoked pot, surpassing cigarettes in popularity. Young people "don't think it's risky," said Dr. Staci Gruber, director of the cognitive and clinical neuroimaging core at the Harvard-affiliated MacLean Hospital's Brain Imaging Center in Belmont, Mass. Gruber, who didn't participate in the new work, said the idea that marijuana harms the adolescent brain is "something we believe is very likely," and the new finding of IQ declines warrants further investigation. Dr. Nora Volkow, director of the National Institute on Drug Abuse which helped fund the research, said the research was "the cleanest study I've ever read" that looked long-term harm from marijuana use. Ken Winters, a psychiatry professor at the University of Minnesota and senior scientist at the Treatment Research Institute in Philadelphia who wasn't involved in the study, said the new findings aren't definitive, but they underscore the importance of studying how marijuana may harm young people. "Marijuana is very dangerous drug to the brain, particularly in adolescence, and it's also a carcinogen, so it's not healthy for adults either," Dr. Harris Stratyner, vice president of Caron Treatment Centers' New York Clinical Regional Services, told HealthDay. "It's much more dangerous than we've ever given it credit for."